From dream home to the perfect home: A couple planning an investment property in Austin ended up with a home that was too terrific to let go. When Sam Shah, a former A&R rep with Dave Matthews’s ATO Records, and multimedia designer Anne Suttles were building their dream home in Austin, they probably never imagined another. For the design they partnered with Kevin Alter – a dean of architecture at the University of Texas and founder of Alterstudio, an award-winning local firm. Together they created an ultragreen home out of recycled materials, loaded with eco-amenities. The house received numerous awards and even won a National Dream Home Award. Inspired by their success, Shah, Suttles, and Alter reunited to renovate a second home, planned as an investment property for the couple. They found a dilapidated 1920s bungalow in Austin’s Travis Heights neighborhood and began work, complementing the existing 1,000-square-foot structure with a cypress-clad 1,100-square-foot addition. The former, while completely renovated and updated, would retain its original design elements, while the new addition would be a sleek, modern complement. Soon thereafter, fate intervened and the couple decided that this was in fact, their perfect home. Inspired by Marcel Breuer’s binuclear house, the space was divided into separate living areas, with the bedrooms and master bathroom in the original bungalow space, and the new addition housing an open-air kitchen and dining combination, a home office, and access to the landscaped yard and pool. 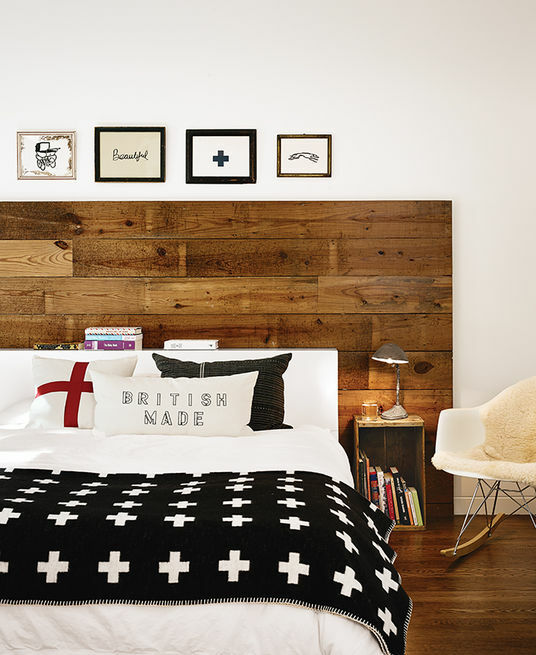 The master bedroom mixes the couples modern, rustic, and approachable style. The headboard, crafted from the house’s original wood, pairs beautifully with the simple, classic style of Anichini linens. 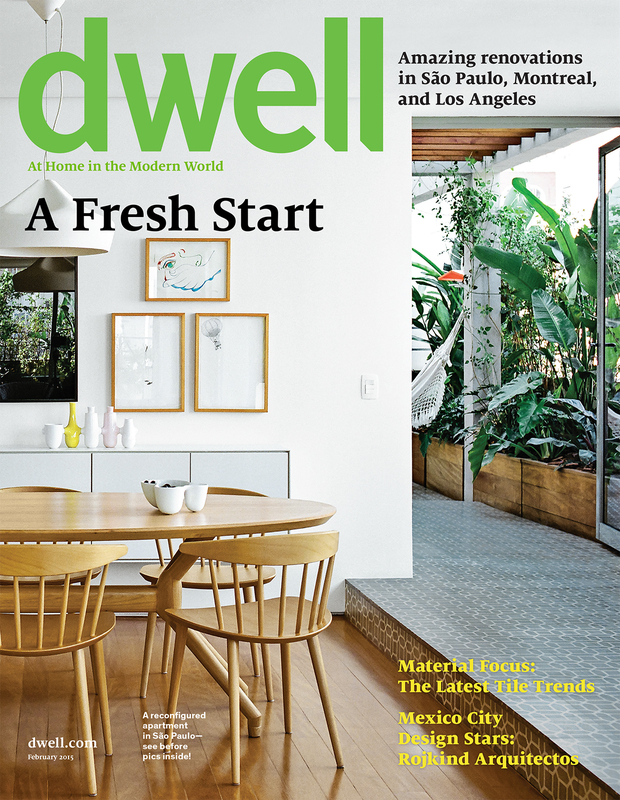 All content and images via Dwell Magazine.